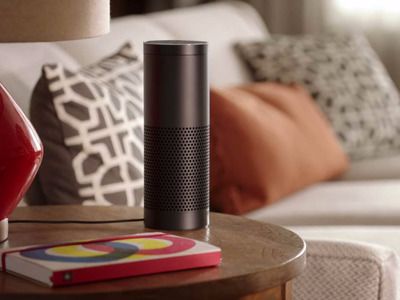 AmazonAmazon’s Alexa powers the Echo. Amazon’s voice-controlled virtual assistant Alexa is showing strong growth, just a year after it was made available to developers, according to the latest figures shared by the company. Amazon said on Tuesday that Alexa now has over 1,400 “skills,” or the built-in commands that can carry out various tasks, such as calling a Lyft cab or ordering Dominos Pizza by voice. That’s nearly double the number of skills it had in May, and a 7-times growth from January 2016. Plus, there are “tens of thousands” of third-party developers working on Alexa-controlled apps, while 16 startups have already received funding from the $100 million Alexa Fund run by Amazon, the company said. Alexa’s scale is still tiny compared to other major app platforms like Apple’s iOS or Google’s Android, which have millions of apps built on top of it. Still, it’s a pretty impressive growth considering Amazon only opened Alexa to developers in June 2015, and introduced a completely new paradigm shift — a platform that only works through the users’ voice and has no screen. Alexa’s best-known for powering Amazon’s immensely popular speaker device, Echo. While the company’s doesn’t disclose any sales figure for the Echo, it’s considered one of the most popular hardware devices to come out of Amazon, as evidenced by the central role it played in Amazon’s first-ever Super Bowl ad. In fact, Amazon CEO Jeff Bezos recently said at the Code Conference that Amazon now has more than 1,000 employees working on the Echo and Alexa, adding it’s one of biggest projects at the company. “We’ve been working behind the scenes for the last four years, It’s just the tip of the iceberg,” Bezos said at the conference.